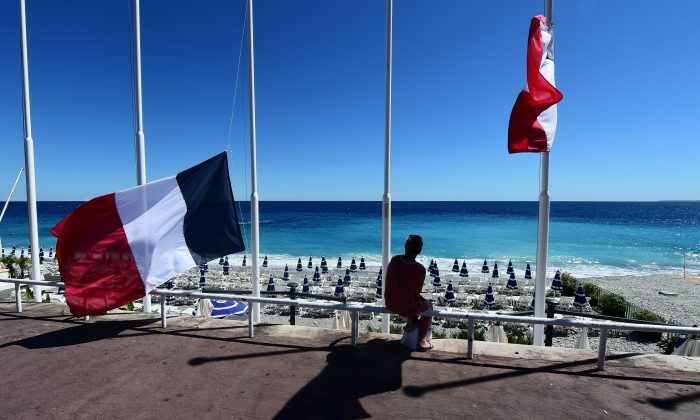 A Dallas woman found herself in the midst of two deadly attacks in one week—once in her home city, where 5 police officers were shot and killed, and another in Nice, France, where a man plowed a truck into crowds of people during Bastille Day celebrations on July 14. French officials say 84 people were killed after a fireworks show on a main avenue in Nice. President Francois Hollande said 50 people are “between life and death.” In a televised press conference, the Paris prosecutor said that 202 people were wounded in total, 25 of whom are on life support. The driver was shot at the scene by police. He was identified as a 31-year-old Frenchman of Tunisian descent. Footage uploaded by witnesses on social media shows chaos as people run to safety. Kristen Crouch, from Dallas, who was visiting France for a friend’s wedding, was one of them. “I heard like two pops. I thought it was fireworks and I didn’t think anything of it but all sudden all these people were running in the opposite direction and speaking in French and screaming,” Crouch told CBS11. When she realized what was going on, she and her friends took shelter in an apartment nearby. They then made their way back to the hotel and saw first responders, patrol cars, and cops patting people down in the street. “We quickly got back to the hotel and locked the door we locked door and plan on staying here,” Crouch told CBS11. Crouch had just seen an attack back at home—five police officers and nine others were injured when a gunman opened-fire in Downtown Dallas on July 7. Crouch says she is relieved that she is safe. “It’s just very surreal I think we’re all in shock there’s five of us right now just watching CNN and watching news and as that number climbs we can’t believe it actually happened right in front of our hotel and we’re just thanking God that we’re all okay,” Crouch told CBS11. Sean Copeland, 51, and his son Brodie, 11, weren’t as lucky as Crouch. The two, also from Texas, died in the attack. The U.S. State Department confirmed two Americans were killed. The Lakeway, Texas father and his 11-year-old son died while on vacation celebrating a birthday with other family members. President Obama condemned the attack on Thursday. “On behalf of the American people, I condemn in the strongest terms what appears to be a horrific terrorist attack in Nice, France, which killed and wounded dozens of innocent civilians,” he said. After the attack, President Hollande ordered that the nation’s state of emergency, which was soon to expire, be extended for three more months.